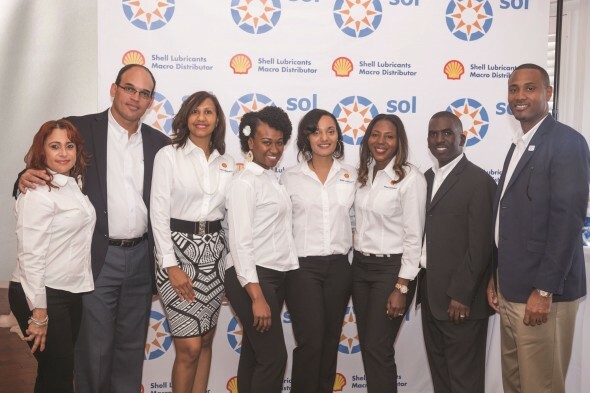 Grand Cayman, March 24th, 2015 – Sol, the Caribbean’s leading petroleum products supplier, today introduced customers in Cayman to an extensive line of high-quality Shell lubricants, further emphasising the company’s commitment to deliver unbeatable value across its regional markets. The range of Shell lubricants launched by Sol Petroleum Cayman Ltd at the Georgetown, Yacht Club, Grand Cayman, included several of the much sought after high-performance products available from the world’s number one global lubricant supplier. Delighted Cayman customers now have access to a versatile array of lubricants including the fully synthetic Shell Helix Ultra (5W 30/5W 40) and an assortment of Helix Hx7 and Hx5 lubricants available in both regular and the popular High Mileage versions. Drivers of trucks and heavy duty vehicles will welcome the proven performance of the fully synthetic Rimula R6 LM as well as the Rimula R4 heavy duty engine oils. Finally for those seeking superior protection for transmission components and gears, Shell’s Spirax S3 ATF will be available and Spirax S2 (80 W 90) respectively. Cayman customers will also now have access to the wide range of quality Tellus hydraulic oils and Gadus greases. 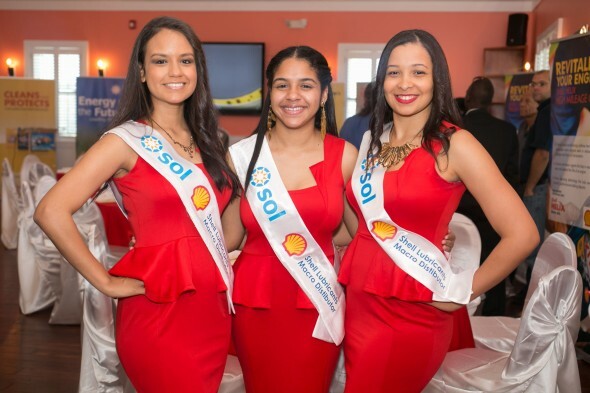 Addressing dealers, guests and business associates at the event, Operations Manager of Sol Petroleum Cayman Limited, Myron Blair said the occasion was a fulfillment of a promise made to customers when Sol launched its Cayman business in April, 2014. He added that Shell lubricants would certainly be welcomed by motorists in Cayman. “This launch today is a tangible demonstration of our commitment to customers, and we pledge to continue building on that promise by consistently delivering not only excellent products, but superior service as well. We are proud of our continued association with the world’s leading supplier of high quality motor oils, and we intend to support our customers by ensuring that they can make informed choices of the best lubricants available for their particular vehicle application,” Blair said. Drivers are reminded to use the viscosity grade recommended by the Original Equipment Manufacturer (OEM), bearing in mind that according to the manufacturer specifications and age, each engine has specific requirements for operation in optimal conditions. 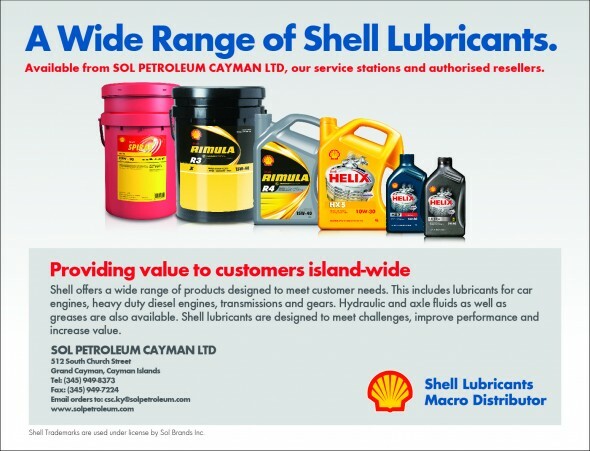 Shell Lubricants are distributed in Cayman by Sol Petroleum Cayman Ltd. Sol uses the Shell brand under license across its regional Service Station network and is the largest distributor of Shell lubricants, which are fully backed by Shell's world-class technical expertise.